Hume Real Estate have partnered up with @realty offering the best techniques of traditional real estate practice fused with fully interactive digital technology. Our business strategy has been developed to take full advantage of the latest digital technology to assist both customers in the buying & selling of real estate. Since 2010 Director Richard Ali has been delivering real estate services to homes across the north of Melbourne including Broadmeadows, Dallas, Jacana, Coolaroo, Meadowheights, Roxburgh Park, Glenroy & surrounding suburbs with a long record of success achieving many awards such Top Seller, Top Lister & Broadmeadows most recommended agent for the last 5 years (2014-2018). Marketing is very important for a property these days. it is a complete package from photos to signing the contract of sale . they will be buying ( a poor presentation will bring the poor buyers , a well spent/rich presentation will bring the good buyers) . We will have numerous suggestions for you as you get started, always respecting your needs and budget. don't hesitate to invite us in and you will be impressed. Richard has sold my street facing 3 bedrooms plus study for $400k ( $20k above my reserve price ) with no any advertising charged . It was sold waiting 2 weeks from the day it went on the market and he was honest & proffisional with all his dealing . I will recommended Richard to any home owner as he is broadmeadows number 1 sales person . Richard has approached us by doornocking our door , he offered us good deal with risk selling free and the property was sold in 10 days for the full asking price . Richard was working hard for us as the vendor and his commission was reasonable . Definitely recommending Richard to people . 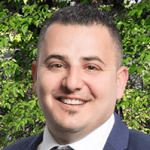 Richard had followed us for more than 2 years to sell our vacant land in broadmeadows for more than 2 years , he offered us a good deal selling the land for $560,000 after 2 months on the market with no advertising . Richard was amazing to deal with keeping us always updated with all the feedback from buyers . Simply call Richard if you want sell in broadmeadows because he in Nunber sale person in the area .